Venue? Booked! Dinner? Booked! Outfit? Bought! Nails...? This Nail Art Pots is an essential for any Hen Party! Make sure that your nails are looking as fabulous and radiant as you are! It's perfect for hen parties as well as ordinary nights out. 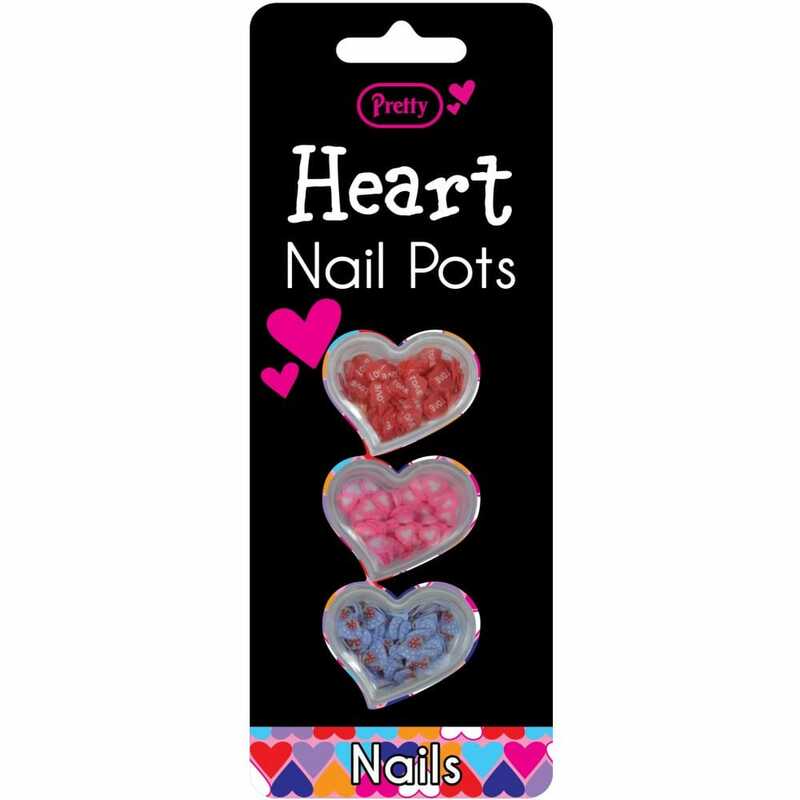 These nail pots contain little hearts in blue, pink and red to attach to your nails for the perfect manicure! Why not put it in gift bags for your hens, with a selection of accessories, lotions and sweets?